If you're like us then we know you LOATHE shipping charges! So, here at House 8810 we like to make things easier on you and hopefully make you smile and not cringe during the entire checkout process! 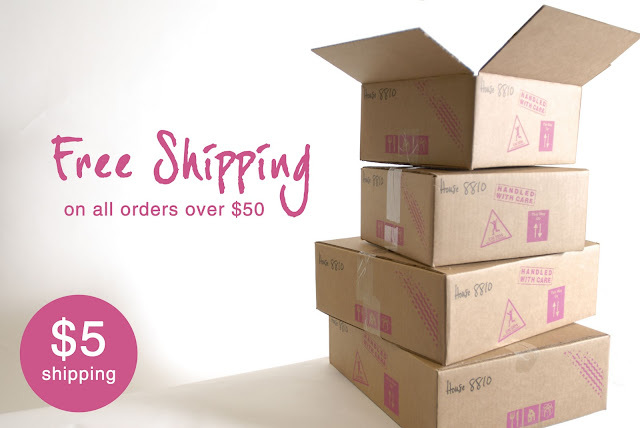 We always offer $5 shipping on ALL orders and FREE shipping on orders over $50! Yes....you heard us, $5 or Free, those are your options. Definitely a WIN/WIN any way you look at it! ORDER TODAY!